AT&T Mobillty offers the second largest nationwide GSM phone and data network with related calling plans, phones and accessories. Generally, GSM phones will work in most countries around the world. The AT&T wireless network uses GSM/GPRS/EDGE on the 850 and 1900 MHz bands. UMTS/WCDMA/HSPA also uses the 850 and 1900 MHz bands. 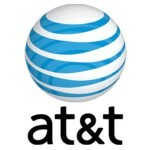 AT&T Mobility LLC is the wholly owned wireless subsidiary of AT&T Inc.